Shipping consolidation continues apace with CMA CGM announcing it is to acquire European shortsea specialist Containerships. The announcement follows the signing of an agreement between CMA and Containerships’ parent company, Container Finance. Containerships boasts strong market presence in the Baltic markets, North Africa, Northern Europe, Russia, and Turkey. 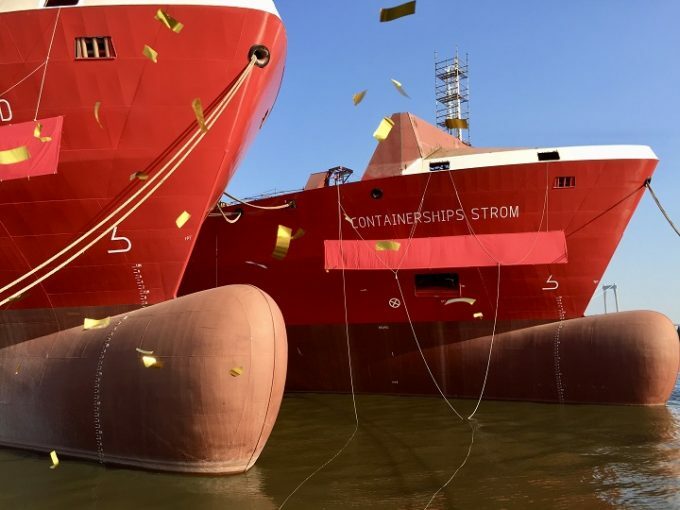 Between August and January, the Finland headquartered carrier is expected to take delivery of four LNG-fuelled vessels, the first two of which were named at their Chinese shipyard. The news is just the latest in an active month for the carrier, which at the start of June announced a tie-up with port operator PSA aimed at pushing digitisation. On closing, Container Finance’s entire container logistics operations will be integrated into CMA CGM’s intra-regional market offering in Europe and the Mediterranean. The agreement remains subject to regulatory approval and is expected to complete in three to six months.